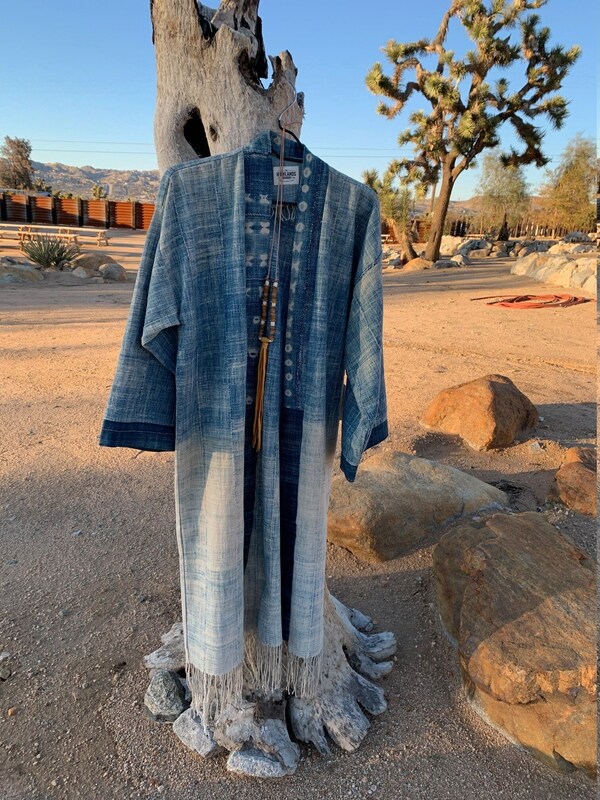 We are using this amazing vintage Indigo blanket from Burkina Faso West Africa to create this special one of a kind long duster jacket. 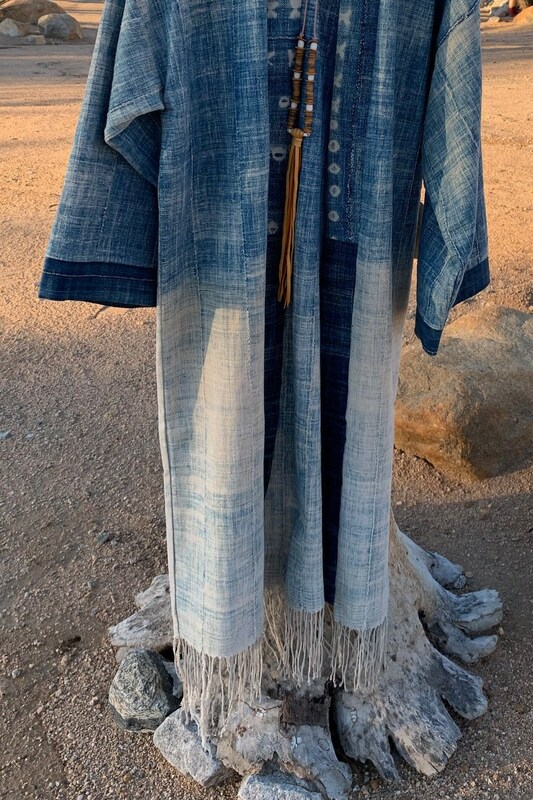 The cloth is a vintage indigo piece that has the most beautiful ombre fade to it that we utilized with the fade graduating to the bottom of the jacket. 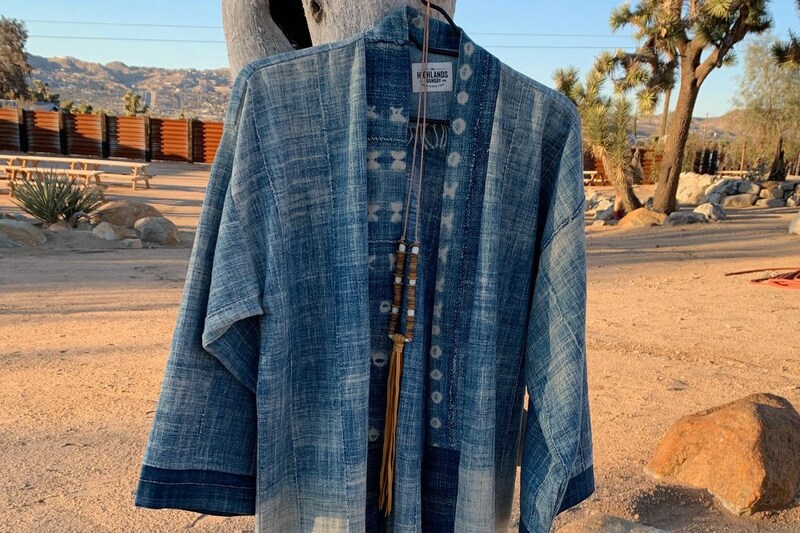 In addition to this we added an indigo shibori dyed cloth to the front band of the jacket and solid indigo band sleeves. 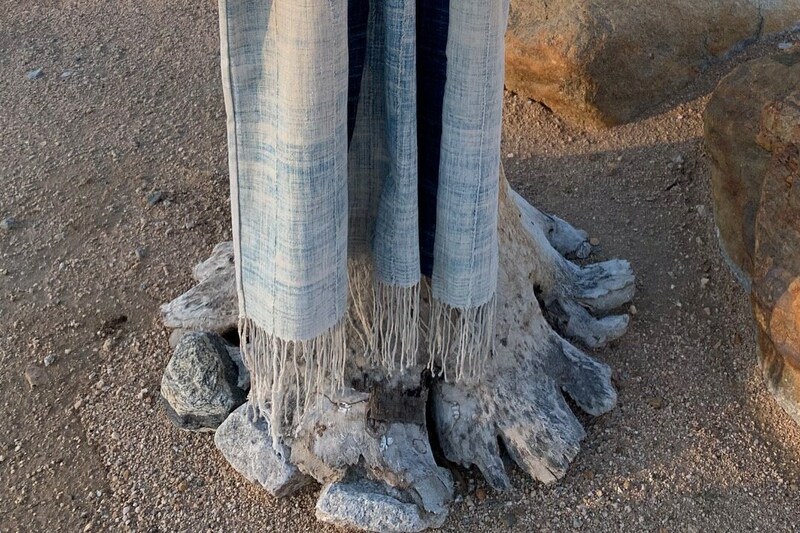 The detail and craftmanship in creating these textile cloths is so inspiring, down to the hand braided detail at the bottom fringe hem. The jacket is a relaxed fit, one size fits all and a unisex piece. These are old fabrics and need to be handledvwith care. Our goal is to support sustainable fashion by creating specialcitems out of heritage textiles. From time to time you may need to give a few stitches to a handstitched seam. We believe in living, loving, repairing and passing along. We suggest to wash in cold water on gentle cycle, hang dry and iron if needed.